The Romsos Custom Homes mission is to provide an individualized service that encompasses every member of the team. We want the entire journey to be an enjoyable and unique experience with the end result being a one of a kind home that the client will cherish. Romsos Custom Homes was founded on the premise that building a house is a journey; beginning with the initial design concept and ending with the client living in their dream home. Many people think the builder is only involved in the actual construction, however construction is only a fragment of the total journey. Romsos Custom Homes encourages the formation of a team including the client, the architect, the designer and the builder. Each team member provides a very critical component to the complete picture. By creating this team early, development issues including land use, site planning and governmental regulations can be investigated to identify issues that could otherwise create problems later in the project. 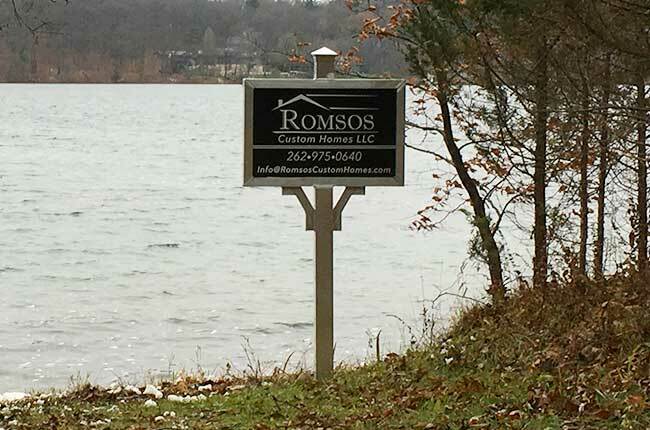 Kurt Romsos established Romsos Custom Homes LLC and is a licensed General Contractor. He has developed a reputation of being able to communicate and work well with clients, architects, designers, and subcontractors. He decided his true passion was the desire to create something tangible, with lasting value and that people could treasure. During the last 16 years, Kurt has worked for two well-respected and prominent custom home builders in the Milwaukee area. During this time, he has built his knowledge in construction, refined his skills and developed strong relationships in this industry. He is a proactive individual and takes pride in his ability to make things happen. Kurt Romsos has an impressive background that enables him to see the entire scope of the project. The combination of his construction experience along with his business knowledge enables Kurt to provide clients with a single point of contact who can manage the whole project. This decreases the potential for missed details throughout the creation of their custom home. Prior to entering into the construction industry, Kurt focused his education and career in business management. He is a graduate of Arrowhead High School and attended the University of Wisconsin, Madison earning a B.B.A. in Administrative Management and Human Resources and a M.B.A. in Administrative Management and Operations Management, (double major). He accepted a position as a Change Management Consultant at Accenture, a leading global professional services company, Milwaukee, WI. These experiences helped to develop his communication skills and business acuity. The journey begins long before the ground is broken and does not end with the finished house. For completed homes, we also offer services for ongoing maintenance. We want you to take comfort knowing the company who helps to manage your property is the company that knows it inside & out. Without your fabulous attitude and true soul, we would have even more gray hair than we already have and of course the treat of ulcers. The creation of our new home would not have been possible without your incredible supervision and guidance. As we have said to you, some people say thank you and some do not, but in our opinion this occasion is much more than a thank you moment! So please accept our heartfelt thank you and please know how meaningful your kindness and considerable efforts were to us. We won the lottery when you came into our lives and the results speak for themselves as far as we are concerned. We have worked with Kurt Romsos since 2009 when he managed the complete renovation of our family lake home. It was my first experience with a remodeling project of this magnitude and I appreciated Kurt’s input as I made my choices. He offered the pros and cons of certain design choices which was valuable since this is a generational home that we wanted to stand the test of time. As he managed the project, Kurt had a ‘critical eye’ to make sure we were getting the best job possible by working with the subcontractors to make this project all that we hoped it would be. It is the gathering spot we envisioned for our extended family and friends to enjoy. Since the renovation was completed in early 2010, we have continued our relationship with Kurt as he helps us maintain the lake property. He does house checks to make sure things are working properly and glitches are dealt with as needed. Again, his ‘critical eye’ is invaluable as he maintains the optimum condition of the lake house. We trust his assessments of the home and property and I turn to him when problems pop up. We value our relationship with Kurt. I have had the privilege to work with Kurt Romsos on a number of projects. Kurt understands the building process thoroughly and is able to manage the construction cycle so that the home is completed on time and in budget while at the same time working with the client to make product selections that result in a “dream home” becoming a reality. I have worked with Kurt on many projects over the years. Kurt is not your typical project manager. In a world where many contractors are in a hurry to get a project down, get paid, and move on to the next, Kurt listens and cares about what the clients visions are. He doesn’t “bully” the client into making the decisions that are best for Kurt, he will listen, communicate, and figure out the best way to reach that result. With that in mind, he will also take the clients visions to the subcontractors he is working with and communicate clearly, and will listen to their opinions on how to make those visions a reality. Kurt is very detail oriented, which also makes the project run smoother, as there are typically no unforeseen problems that will arise and the expectations are clearly defined ahead of time. His work ethic, his level of dedication to the client, and his willingness to work with the subcontractors has been a true inspiration. I have had the good experience of working as a subcontractor to Kurt Romsos on several high end residential home building projects. I can say without any hesitation that Kurt is a true professional who sweats every detail for his client’s benefit and who also coordinates the work of a substantial number of contractors very fairly and has a way of getting the best from everyone that he has on his team. He is a man of complete integrity. We’ve had the pleasure of working with Kurt Romsos on several projects and his commitment to getting the details right is flat-out amazing – from project inception through completion. Kurt is organized and an extraordinarily effective communicator, both of which are key components for a successful project and meaningful client experience. Kurt’s fair and honest behavior towards owners and subs alike exemplifies his integrity and conviction to deliver a quality product. It’s been a pleasure working together with Kurt on a variety of exciting and challenging projects for the past decade. Without hesitation, I would recommend Kurt and Romsos Custom Homes for your next project. I totally enjoy working with Kurt Romsos on his construction projects. He is so well organized and ahead of the game, anticipating and preparing for all the possible forthcoming problems while being tactful and pleasant to his co-workers at the same time. He is extremely knowledgeable about the construction industry and builds the highest quality homes. It is such a pleasure to be part of his team.